This is a sponsored post written by me on behalf of Fellowes Brands. All opinions are 100% mine. The holiday mad dash to a clean house. We’ve all done it before. It seems like the weeks leading up to the holidays suddenly become jam packed with last minute errands and tasks that you forgot about, or are expected to attend at the drop of a dime. Suddenly, before you know it, it’s crunch time. You have to suddenly have your entire house together and a full meal prepared in order to entertain! I’m determined to not let the holidays catch me off guard this year. I have already started getting my house together room by room, so that they’ll be little left to do when the day arrives. You can start now by simply going to each and every room in your house and eliminating the things that you don’t need. Sort out clothes and make sure that the summer/spring attire is packed away to make room for the more cold weather appropriate items. Toys can quickly become clutter. Go through your kid’s toys with them, store away toys that can be brought back out later, organize the frequently played with toys and make a pile for donation. You should always be sure to get rid of any papers that you no longer need. It’s best to shred your mail and other sensitive paperwork to avoid it falling into the wrong hands. 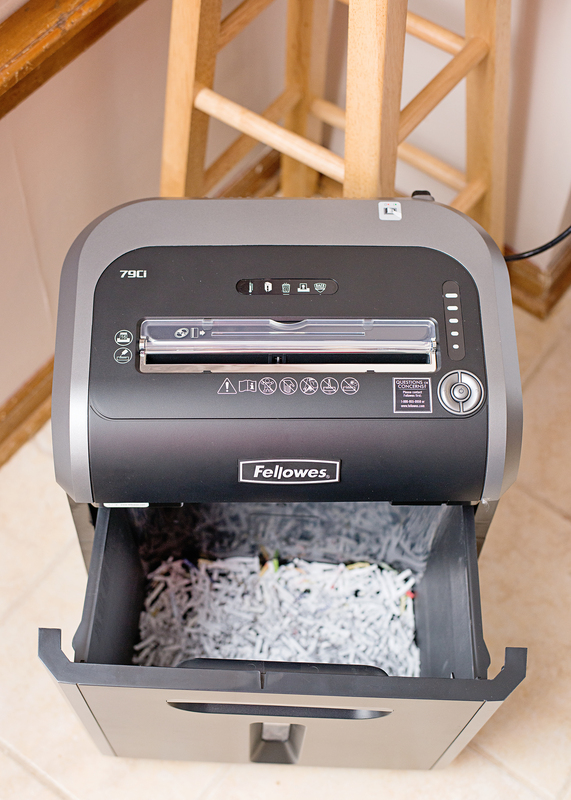 Shredders like the Fellowes 79Ci shredder help you do this quickly and efficiently. The Fellowes 79Ci happens to be my favorite because of the heavy-duty cross-cut blades that can handle up to 16 sheets of paper per pass in addition to staples, credit cards, paper clips, junk mail, and even CDs! You won’t even have to deal with annoying jams since it’s equipped with the Patented 100% Jam Proof System that eliminates them. It’s also a shredder that’s safe to use with the kids around, since the Patented SafeSense Technology automatically stops shredding when hands touch the opening! If you’re like me and have a huge stack of papers to shred, you don’t have to worry about making a whole lot of noise either. The Energy Savings System maximizes shredder energy efficiency and the SilentShred Technology offers ultra-quiet shredder performance. 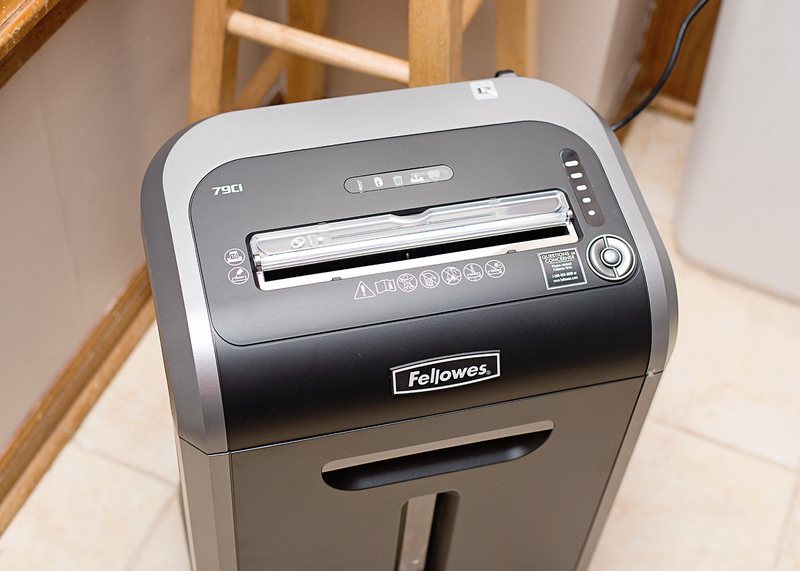 You can grab your own Fellowes 79Ci shredder at Amazon and Office Superstores with a suggested retail price of $239.99. Once you have all the clutter removed from your home, it’s only a matter of simply straightening up before your company arrives! 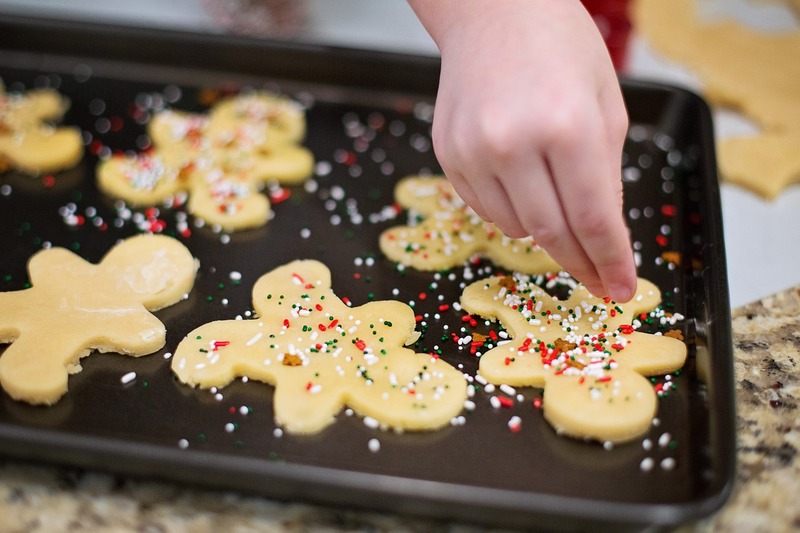 Do you have any tips for quick cleaning around the holidays? Drop them in the comments below.